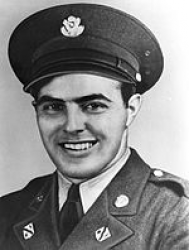 Private First Class Frank Joseph Petrarca (31 July 1918 - 31 July 1943) was a U.S. Army soldier who was posthumously awarded the U.S. military's highest award for valor, the Medal of Honor, for his heroic actions in World War II. Frank Joseph Petrarca was born on 31 July 1918 in Cleveland, OH; he also joined the Army from that city. On 27 July 1943, he was serving as a Private First Class in the Medical Detachment of the 145th Infantry Regiment, 37th Infantry Division. At Horseshoe Hill on New Georgia in the Solomon Islands that day, he provided aid to three wounded soldiers despite intense enemy fire. Two days later, on 29 July, he helped another wounded soldier who had been partially buried during a mortar barrage. On 31 July, he again braved intense hostile fire to aid a wounded comrade, but was killed before he could reach the soldier. He was posthumously awarded the Medal of Honor for his heroism. Rank and organization: Private First Class, U.S. Army, Medical Detachment, 145th Infantry, 37th Infantry Division. Place and date: At Horseshoe Hill, New Georgia, Solomon Islands, 27 July 1943. Citation: For conspicuous gallantry and intrepidity in action above and beyond the call of duty. 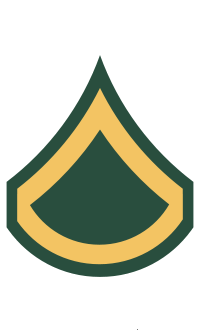 Pfc. Petrarca advanced with the leading troop element to within 100 yards of the enemy fortifications where mortar and small-arms fire caused a number of casualties. Singling out the most seriously wounded, he worked his way to the aid of Pfc. Scott, lying within 75 yards of the enemy, whose wounds were so serious that he could not even be moved out of the direct line of fire Pfc Petrarca fearlessly administered first aid to Pfc. Scott and 2 other soldiers and shielded the former until his death. On 29 July 1943, Pfc. Petrarca, during an intense mortar barrage, went to the aid of his sergeant who had been partly buried in a foxhole under the debris of a shell explosion, dug him out, restored him to consciousness and caused his evacuation. On 31 July 1943 and against the warning of a fellow soldier, he went to the aid of a mortar fragment casualty where his path over the crest of a hill exposed him to enemy observation from only 20 yards distance. A target for intense knee mortar and automatic fire, he resolutely worked his way to within 2 yards of his objective where he was mortally wounded by hostile mortar fire. Even on the threshold of death he continued to display valor and contempt for the foe, raising himself to his knees, this intrepid soldier shouted defiance at the enemy, made a last attempt to reach his wounded comrade and fell in glorious death. The U.S. Army ship USAT Private Frank J. Petrarca which served in the Pacific Ocean at the end of World War II, was named in his honor. One of the small arms ranges at Ohio National Guard Training Site, Camp Perry, OH, is named in honor of Pvt. Petrarca. Camp Perry is the home of the National Rifle and Pistol Championships. Private First Class Frank Joseph Petrarca was killed in action on 31 July 1943, his 25th birthday. 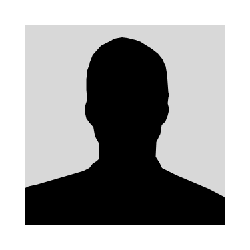 He is buried at Calvary Cemetery in his hometown of Cleveland, OH, in Section 110, Lot 1268, Grave 3.